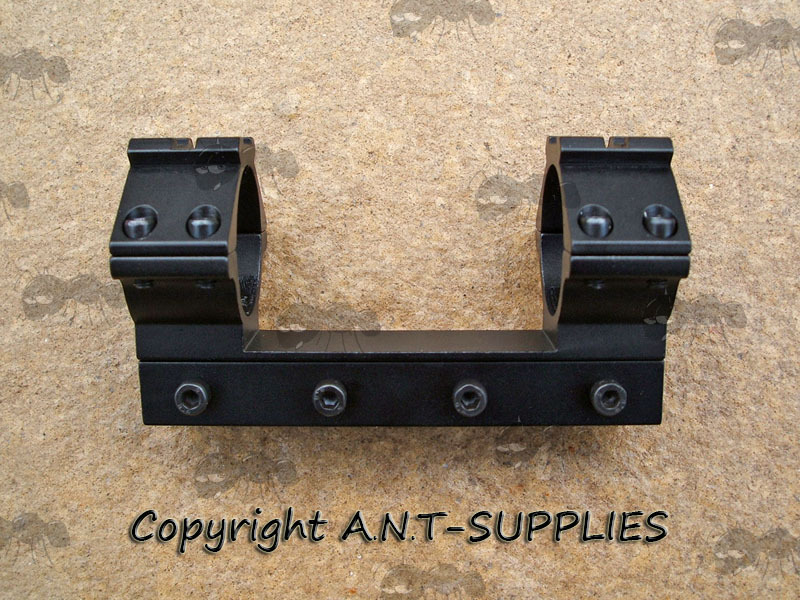 High-grade construction mounts with a matte black finish. 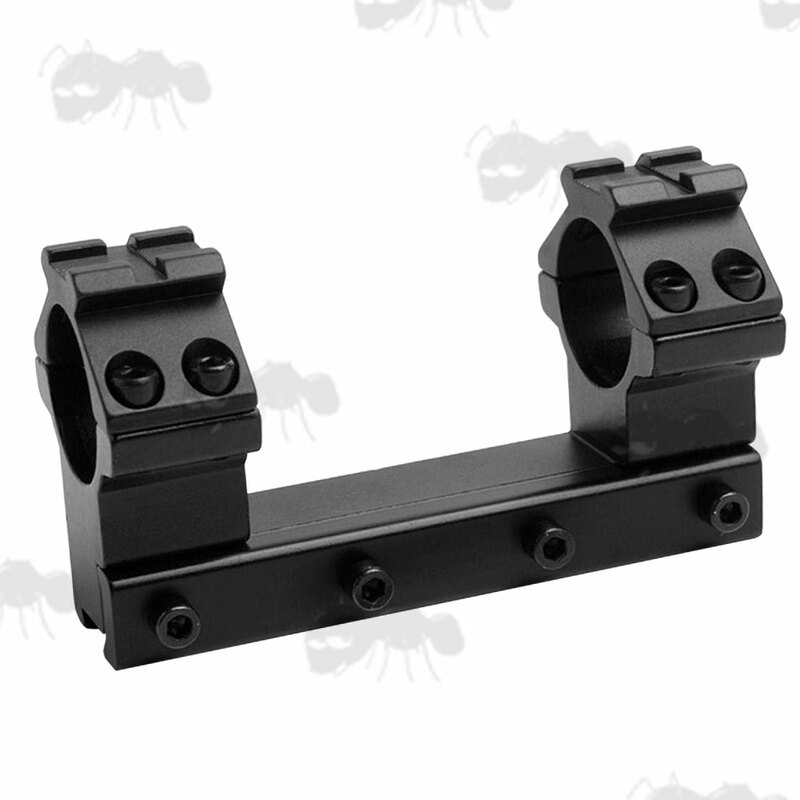 Solid design, one piece double clamp mount for standard dovetail rifle rails, with 20mm weaver/picatinny rails on top to allow for adding flashlights or lasers etc. The 25mm version has an allen key grub screw recoil arrestor pin and the 30mm version has a push fit recoil arrestor pin. 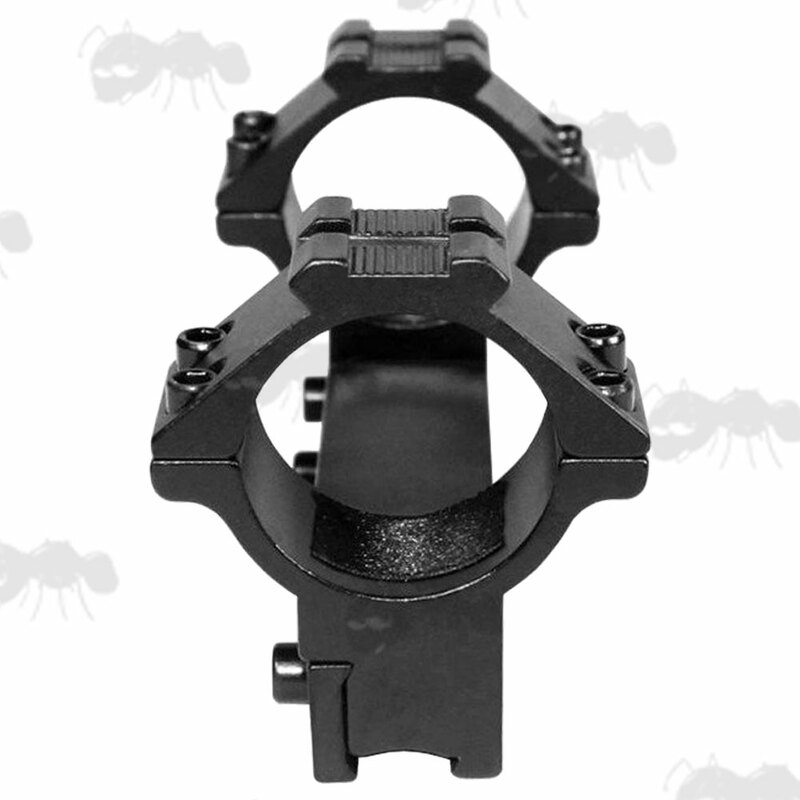 Also available ~ two piece scope rings with accessory rails.